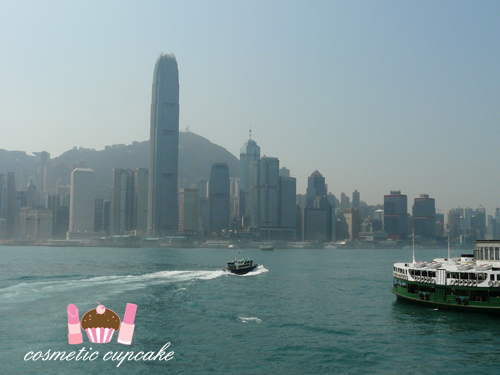 Cosmetic Cupcake: I'm going on a summer holiday..
Today I'm off to Hong Kong for 3 glorious weeks!!! I'll be spending quality time with my family and doing lots of fun things like eating, shopping and celebrating Chinese New Year XD I absolutely cannot wait! Even though I go every year the thrill never dies down haha. Plus I haven't celebrated CNY there in AGES! I'll also be taking time off blogging with the occasional HK update though. I'm going to be FAR too busy eating and shopping to blog sorry! I do have a few posts in draft so if I have some downtime I might post those up. Have a lovely time 'Chelle and take lots of pics! Have fun too! omg, have fun :D !!!! New Year's in Hong Kong sounds like a fantastic time. Happy new year! Have a safe trip and a very very good time! ^__^ Brings us news from Hong Kong!!! Show us what you eat there :D Take care!!! *** See you soon! Have a great holiday and Happy Year of the Dragon! Wauw, hong kong, super ! Hope you have a fantastic time there! Wow! I envy you! I'd like to have a vacation as well, Have fun!